PARKERSBURG, W. Va. — One of the nation’s most conspicuous Church-State separation groups has filed a lawsuit against a city in West Virginia in an effort to stop city council members from opening public meetings with the Lord’s Prayer. The lawsuit states that the two complainants, Daryl Cobranchi and Eric Engle, feel uncomfortable and like outsiders when the prayer is recited because they decline to stand and join in the recitation. “During council meetings that Mr. Cobranchi attended, he was conspicuous by not standing and not reciting the Lord’s Prayer. Mr. Cobranchi felt pressure to participate in the prayer because the city council members and many attendees stood and recited the Lord’s Prayer in unison,” it outlines. “The council’s recitations of the Lord’s Prayer have made council meetings very uncomfortable for Mr. Engle. He feels excluded and has observed that others who do not participate in standing during the prayer or reciting the Lord’s Prayer appear to be excluded,” the legal challenge states. Cobranchi has discontinued attending the meetings as a result, but desires to return. 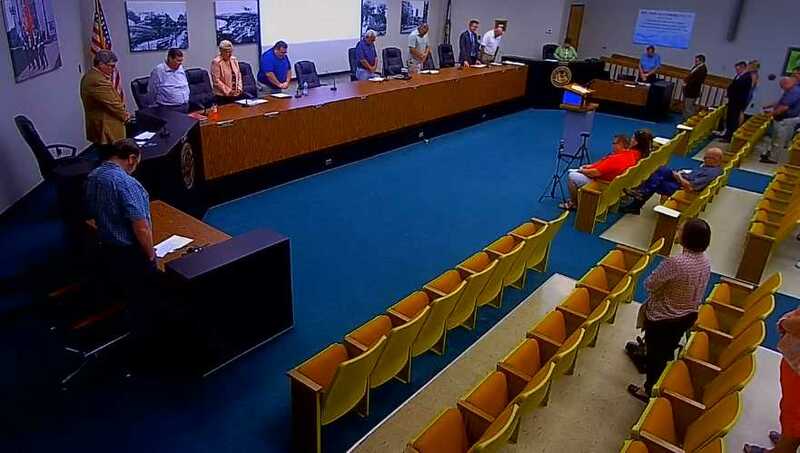 Parkersburg City Council has reportedly conducted the practice for the past decade, which is followed by the Pledge of Allegiance. FFRF argues that it does not matter that the prayer is recited before the meeting is called to order, and notes that city council members continue to lead the Lord’s Prayer at each meeting and sometimes ask attendees to stand. “The city council has a religious purpose, rather than a secular purpose, in reciting the Lord’s Prayer at City Council meetings. The city council’s recitation of the Lord’s Prayer has the primary effect of both advancing religion and expressing defendant’s preference for Christianity above all other religions and nonreligion. Through its policy and custom of opening each meeting with the Lord’s Prayer, the city council has entangled the city with a religious practice and an official religious message,” the lawsuit asserts. The complainants seek a declaratory judgment that the practice is unconstitutional, as well as an injunction prohibiting the Parkersburg City Council from delivering “sectarian” prayers during public meetings. View FFRF’s lawsuit in full here. 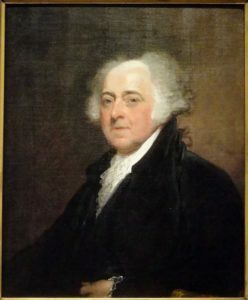 As previously reported, throughout America’s early history, a number of the Founding Fathers issued proclamations calling inhabitants to prayer, including in 1798, when President John Adams proclaimed a national day of humiliation, prayer and fasting.